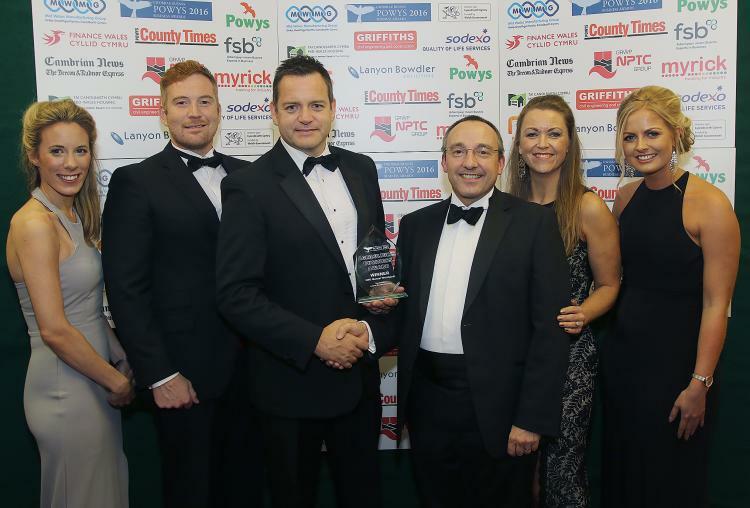 A successful Welshpool-based company, which is world leader in the design and manufacture of variable frequency drives to control electric motors, has been named Powys Business of the Year for the second year running. Invertek Drives Ltd collected the coveted accolade at the annual awards dinner, held at the Officers Mess, Derring Lines in Brecon, last Friday (30 September). 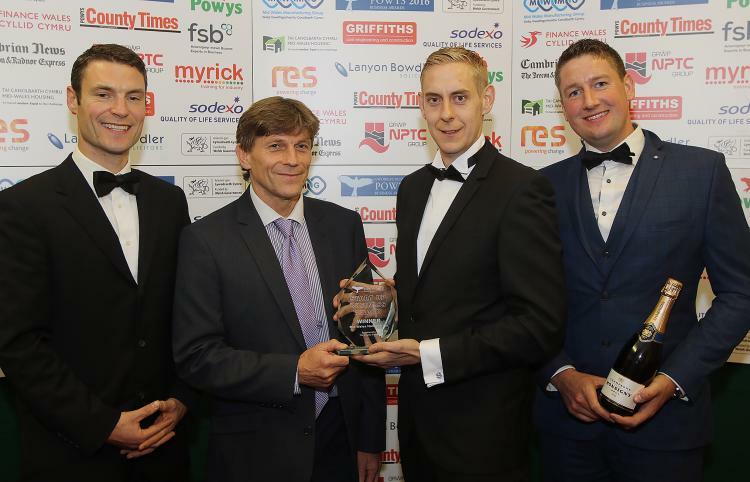 They also picked up the award for Technology and Innovation, sponsored by RES, and the International Trade award, sponsored by Mid Wales Manufacturing Group. 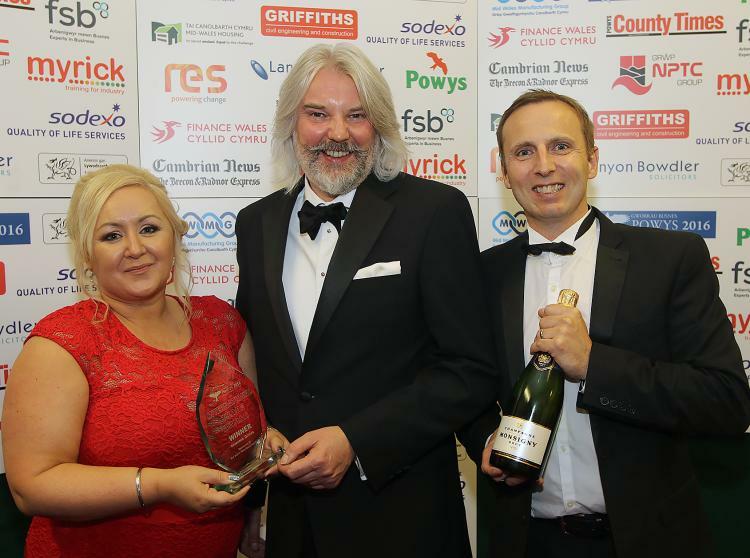 The awards, organised by Mid Wales Manufacturing Group and sponsored by Powys County Council, celebrate excellence in business across the county. 240 guest attended this year’s awards ceremony with TV weather personality Derek Brockway compere for the evening. Cllr Avril York, Powys County Council’s Cabinet Member for Regeneration and Planning, congratulated all 37 finalists in the award categories, saying they represented everything that was good about the county’s businesses. 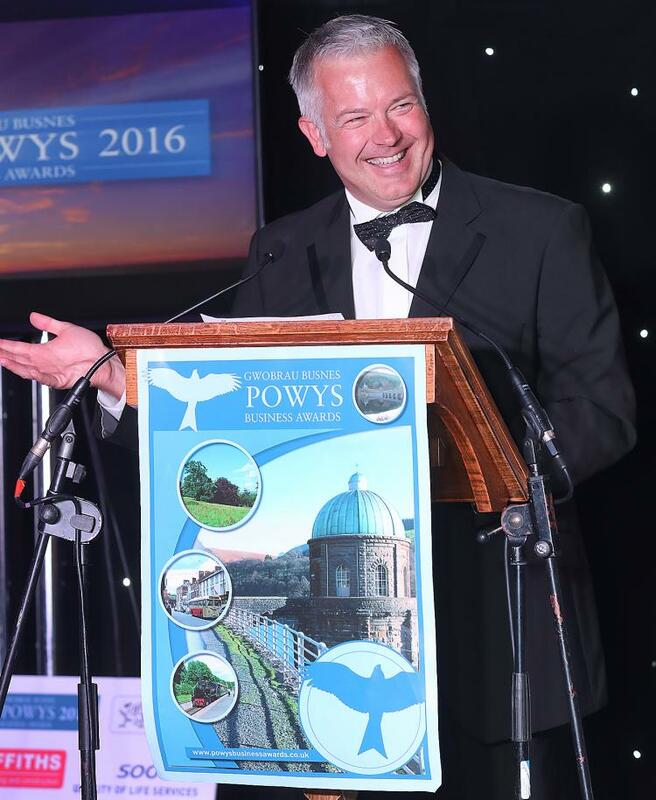 “All 37 finalists were winners in my eyes but special congratulations go to our award winners at this year’s Powys Business Awards,” said Cllr York. “Powys County Council is committed to working with the business sector. I call on the Welsh and UK governments to invest in supporting businesses here by investing in infrastructure improvements. An independently owned company established in 1998, Invertek Drive Ltd employs 190 people worldwide, including more than 160 at its Welshpool headquarters. It has doubled its turnover to £22 million in the last five years and exports more than 90% of what it manufactures in Welshpool to 80 different counties worldwide. Announcing the winner Judge Bob Millard congratulated the company for clearly having its strategic eye on the wider opportunities. More than 90 per cent of the products made in Welshpool are currently exported to 80 countries worldwide and the business has subsidiary companies in Germany and Poland and trading operations in Malaysia and Indonesia. Innovation is a key driver of the company’s success and it has recently opened additional production and logistics facilities in Welshpool to ensure to meet growing global demand for its products. The award judges said ‘this is a company that has not been afraid to invest heavily in personnel and research and development and to push the technological boundaries that drives its business to further its ambitions for profitable growth’. 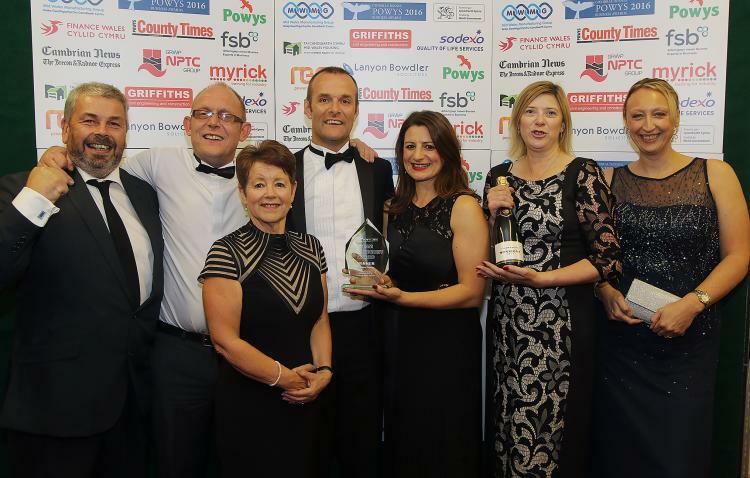 I am delighted we have achieved such success and to be named as overall business of the year was very much the icing on the cake, especially as this is the first time that one company has received this award for two years in a row. The Judges’ Award went to William Watkins from Radnor Hills Mineral Water Company which also collected the Manufacturing Award sponsored by Myrick Training Services. The company has expanded from 2,000 bottles per hour to 22,000 per hour. 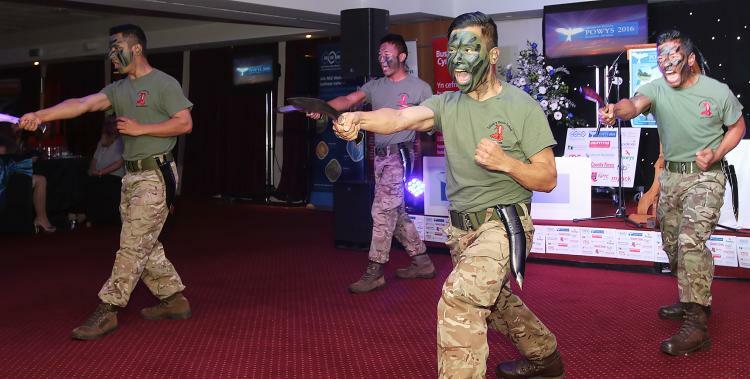 Guests were treated to entertainment by the Gurkhas Demostration Company and a performance by Sgarmes a bilingual and unique close harmony singing group based in Aberystwyth. 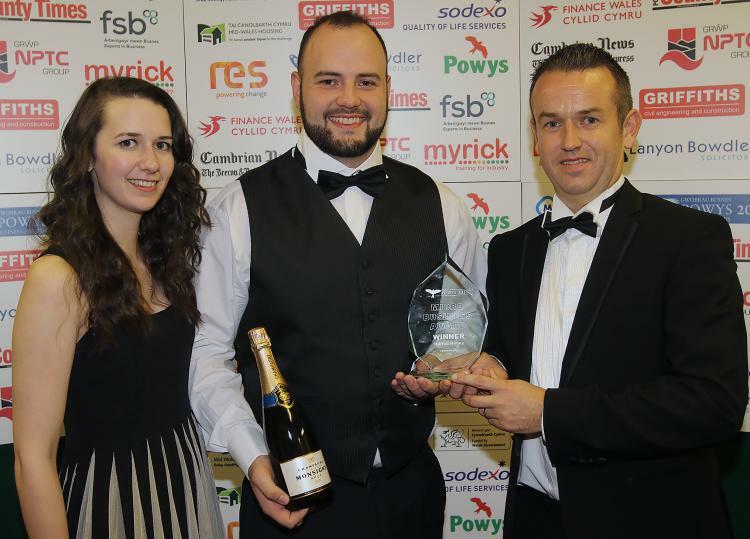 Team Achievement Award sponsored by The Cambrian News and The Brecon & Radnor Express – Stadco Powys, Llanfyllin.